ESA's ATV-5 'Georges Lemaitre' cargoship undocked from the ISS in the afternoon of February 14, 2015. A few hours later they made a fine zenith pass over Leiden, stille relatively close together, chasing each other in the sky. Unfortunately, an untimely fields of clouds passed through the sky as the pass commenced. Still, the duo was well visible amidst the clouds. ATV-5 was an easy naked eye object at mag. +1. It was some 25 degrees (25-30 seconds) in front of the ISS. 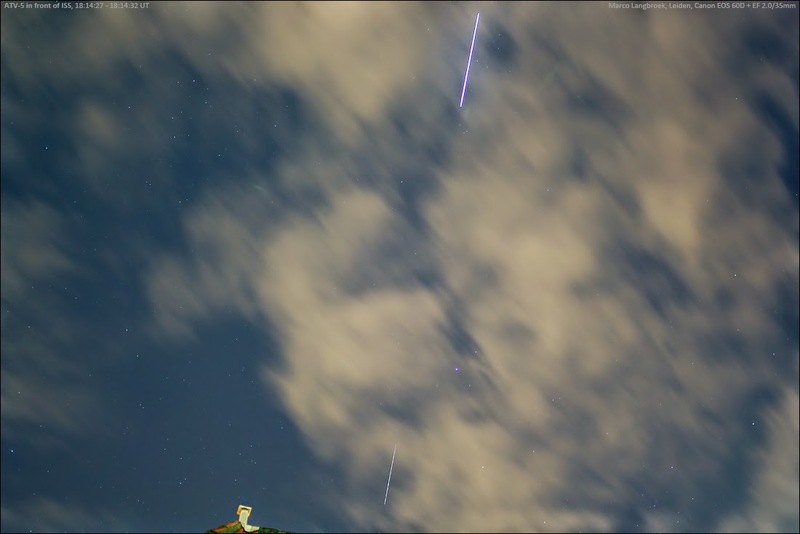 The image above shows ATV-5 amidst clouds near Capella. 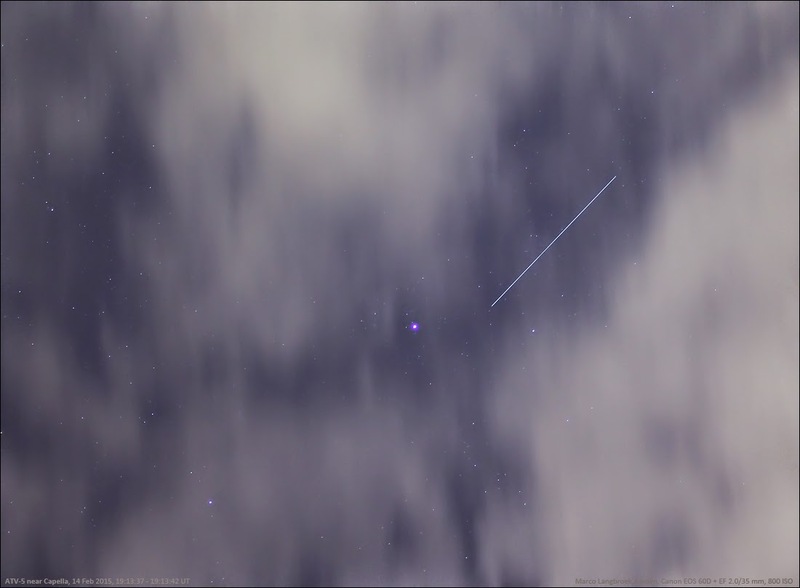 The image below shows both the ISS (top) and ATV-5 (bottom) descending to the east in a partly clouded sky. Both images were made with an EF2.0/35 mm lens.